Nowadays, the best part about summer travel is the mobile connectivity. It ensures that though one is disconnected from a regular routine, they will never loose touch with family, friends, and work. It gets better with some of the top new travel apps making your summer travels safe, monitored, cheap and instantly shareable. This handy app allows you to create a travel journal and helps share it with your friends and family. The Esplorio travel app is best suited for travelers who are the first citizens of social media. The app automatically collects the location of the traveler, aggregates social content shared by them and combines it with the camera images they have captured on the vacation. Even before you know, your travel journal is ready with all the relevant details. The travel app also helps to create a travel postcard that can be sent to friends and family. Hopper is the most intelligent travel companion and its free to download and use. The app tells you the best time for the cheapest fare to any destination. The app creates a multi-month, color-coded scheme that allows users to quickly and easily pin point the best rates. Traveling but don’t want to leave your lovable pet at home? Try Bring Fido, an app which helps you locate pet-friendly beaches, hotels, restaurants and parks. It is a free and easy to use! For those traveling outside of their comfort zone, it’s always smart to stay up to date with alerts. 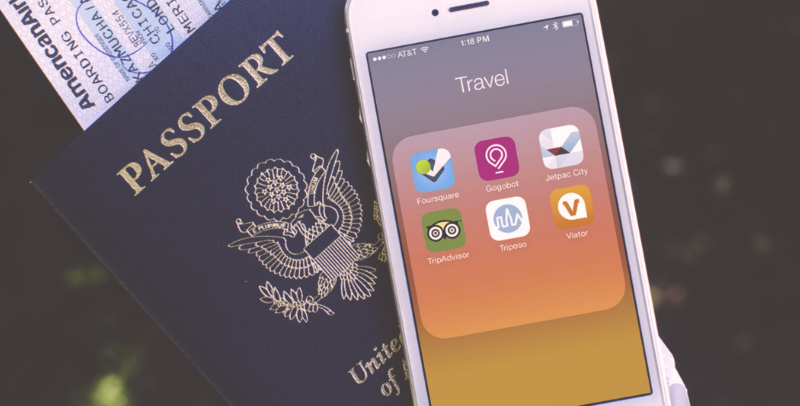 The Smart Traveler app brings security advice and warnings from US Depart of State. Additionally, it keeps the traveler aware of the local laws to ensure one is not caught by surprise. Periscope is one of best video streaming apps, which allows you conveniently share your travel adventures with the rest of the world. The app is available directly on the Twitter platform and considered one of the fasted growing consumer apps.